This 160 Acres pays for it's self! The current owners receive an annual check via the Conservation Reserve Program for keeping the property seeded and weed free with native grasses. One portion of the parcel is seeded to attract pollinators. Checks range from $4200 a year on up. Beautiful land, zoned AG. 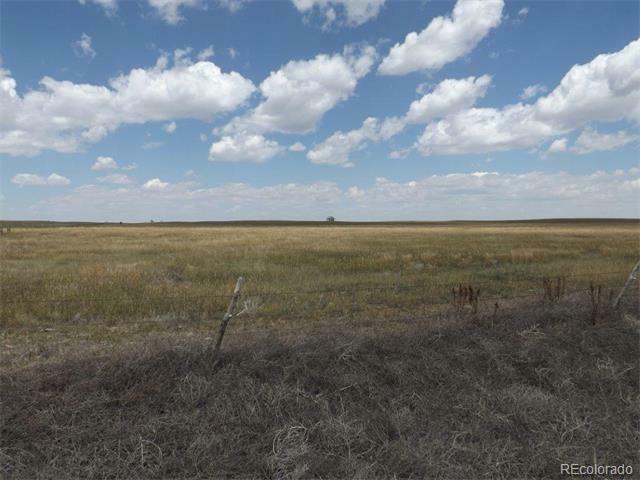 160 acres for $100k, own your own hay field! CRP Contract to 2020, which can be terminated or adjusted. 10 Acres of the 160 is not included in the contract. Close in to the charming towns of Matheson (photo of church) and Simla. Easy access to Limon, I-70 or the back road to Highway 86 to Kiowa/Elizabeth or Castle Rock. Big sky country, quiet, rolling and beautiful! There is one lone Cottonwood on the property.